Desperate times call for desperate measures. This is especially true when your life and freedom are on the line. 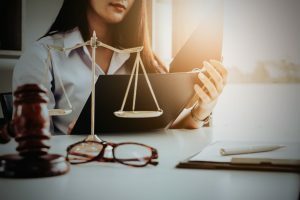 Finding a qualified criminal defense attorney who can help you get out of the mess is challenging for your financial capability and moral intellect. That’s why criminal lawyers are either hated or loved. A lawyer’s conflicting “image” might make it hard for you to choose one to represent you. But keeping some important points in mind could make the task easier, explains feldmanlee.com. The reputation of lawyer you are considering would depend on the experience and the type of service you need. Getting a lawyer who can give swift justice or one who can give you a second chance are both possible. Choosing based on reputation helps. If your attorney has handled a number of cases similar to yours in the past, then you are in good hands. The more experienced your chosen lawyer is, the more you can be sure that he knows what he is doing and has better chances of giving you the outcome that you want. The law involves jargon and ideas that can be difficult to understand for a layman. A good lawyer should explain the progress of the case and help you understand the choices that you need to make. He should also be able to communicate effectively with the other party, the judge, and the jury to get his point across effectively in your defense. A lawyer should be sharp enough to give a good defense with the amount of information he has at hand. That said, good research skills are necessary to have a good chance of winning. Meeting your lawyer’s team can give you an idea of how they work. Looking for these qualities first can help you find the right defense lawyer. Remember these when interviewing prospective lawyers for your case.